Put your hands together for your host, Michelle Buteau, and her special guests, Bridget Everett and Gina Yashere! Michelle (aka, the “3rd Dope Queen”) will tape her new podcast live at The Greene Space every Tuesday through May 1. She’s kicking things off on March 13th with Bridget Everett and Gina Yashere! Bridget’s an alum of Inside Amy Schumer (and even sang at her wedding), has wowed on The Tonight Show, and her recent show at Joe’s Pub, Bridget Everett & The Tender Moments, was a sold-out hit. The New York Times calls her “a friendly face with a foul mouth.” But we know she’s so much more. Born and raised in London, Gina’s a stand-up comedian and television star. 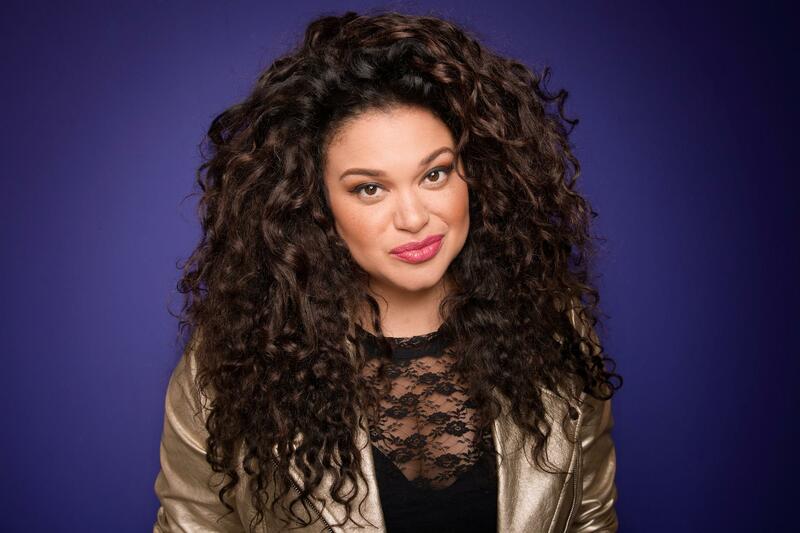 She broke onto the American comedy scene when she made it to the top 10 finalists on NBC’s Last Comic Standing, and is known as the only British comedian to ever appear on the iconic Def Comedy Jam. Other hilarious appearances include The Tonight Show (NBC), Crashing (HBO), @Midnight (Comedy Central). Gina now stars as the British Correspondent on Comedy Central’s The Daily Show with Trevor Noah.